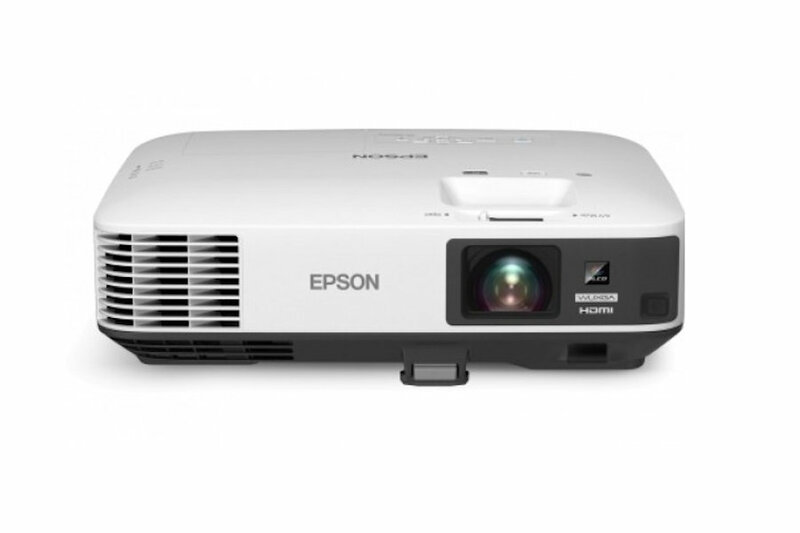 The Epson EB-2165w projector provides brilliant colour and amazing image quality with up to 5,500 lumens of colour brightness and up to 5,500 lumens of white brightness. This powerful product also features Faroudja DCDi® video processing to ensure your image always looks its best. The EB2165w also features a newly developed lens with a greater sharpness and focus level. 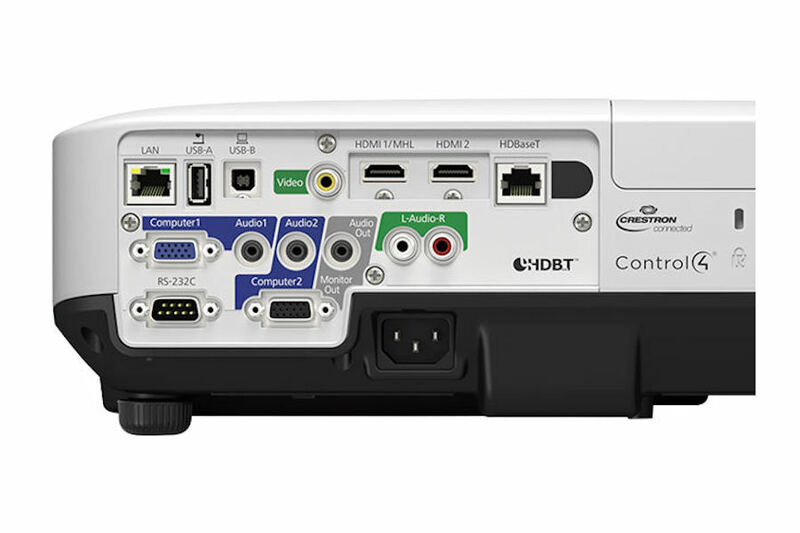 Wide-ranging connectivity including two HDMI inputs, MHL, and Control I/O. Rich functionality such as Auto Power ON, Focus Help, Split Screen, USB Display and Lamp Regulation allow for a quicker, smarter user experience. Whether they’re used in the boardroom, or your living room, the Epson EB2165w delivers bright, vivid images that will captivate any audience. 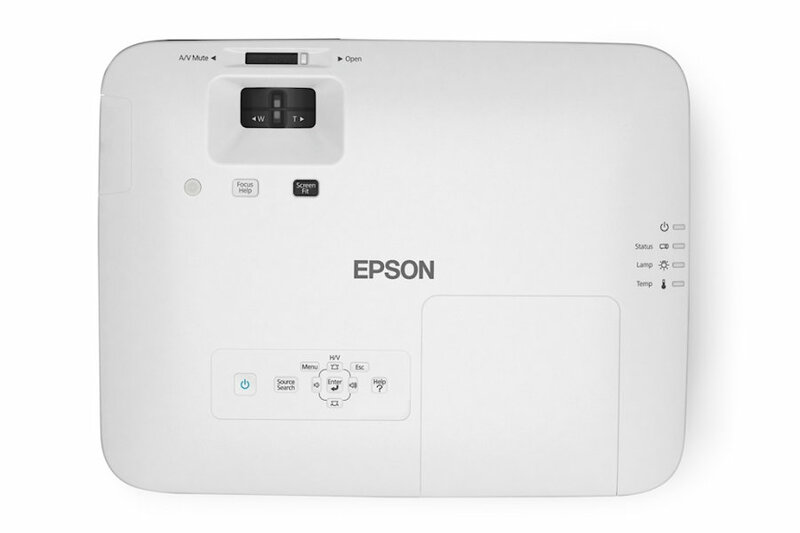 Brilliant image quality requires high colour brightness (colour light output), and Epson® 3LCD projectors have 3 x Brighter Colours than leading competitive projectors*. One brightness measurement (lumens) is not enough. A projector‘s specification needs to show both high colour brightness and high white brightness. If colour brightness is lower than white brightness, images may be dark, dull and lose detail. If not provided, be sure to ask for a projector’s colour brightness specification. The Multi PC Projection feature allows a network of up to 50 devices to be connected to a single projector. A new addition to Multi PC Projection sees smart devices such as iOS and Android Devices being able to join the network. Another additional feature has been built into the EB-2000 Series allows a PC to act as a Moderator, who can then select up to 4 of the connected devices and project their screens from the projector. The addition of a Moderator helps to maintain control and prevents tampering with the projected screen. The EB-2165w can display your presentation via a connection to a PC with a simple USB cable. You can also create and display images directly from a USB memory device*, making it possible to give presentations without the need for a PC. 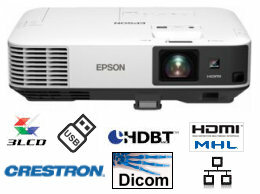 With the EB-2165, it’s possible to monitor and control up to 1,024 networked Epson projectors from a remote location. Schedule power on or off timings, check projector status and receive maintenance alerts. Users can even project presentations in up to four rooms from one networked location. This is possible both over a wired connection (via RJ45 connection) or via the 802.11b/g/n wireless module which is included in the box for the EB2165. Lamps can blow, if you need your projector working and can't afford down time, you may need to keep a spare lamp. 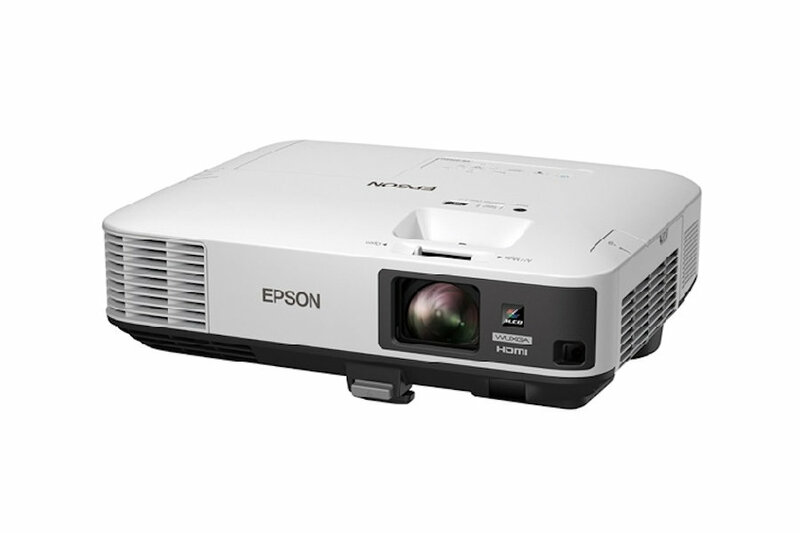 The replacement projector lamp for the Epson EB-2165w is the ELPLP95.